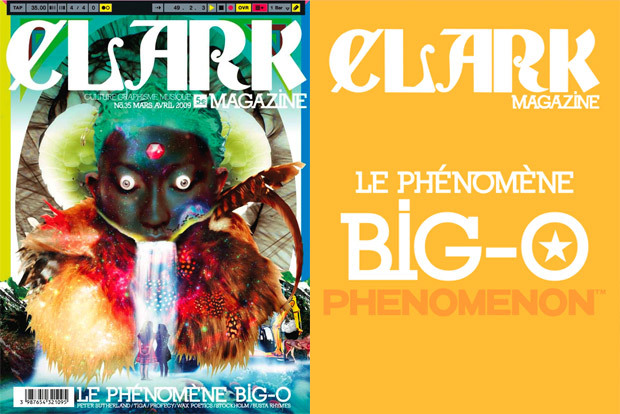 French publication Clark Magazine celebrates their 35th issue with a special cover done up by Phenomenon/Swagger head honcho Big-O. Along with the interesting cover art issue 35 features interviews with Wax Poetics, Tiga, Hiroki Nakamura (Visvim), Scott Campbell, GrandMaster Flash, Chateau Marmont, Busta Rhymes, DC Recordings and a Peter Sutherland portfolio. Two parties are scheduled (Tokyo – March 13th and Paris – March 7th) to mark the release. Madlib & Oh No Drop Gangster Doodles-Infused Visual for "Big Whips"